AT&T is getting serious about their 4G LTE lineup announcing no less than 6 LTE Android devices at CES with surely more to come. They are planning to ramp up their new network as quickly as possible and many of their new handsets show a lot of promise keep reading to see what they have in store. The massive 5.3" display on the Galaxy Note packs a 1,280x800 resolution and starts to blur the line between a phone and a tablet. It comes with a 1.5Ghz dual core processor, 16GB of on board storage, and the same front a rear cameras available on the GSII. The major difference is the Galaxy Note features the S-Pen which is a custom stylus with its own software optimization built into the OS. With already a million units shipped around the world, it should make a big splash when it arrives on AT&T in the U.S. The Sony Xperia Ion will be the companies first device after the buyout of Ericsson and the first Sony to feature 4G LTE. Sony has a flagship on their hands with the Ion feature a 4.6" 1,280x720 resolution display, 1.5 Ghz dual core processor and 16GB of on board memory. The even bigger story is the new 12 megapixel rear shooter and a front facing camera capable of 720p HD video. On the software side an upgrade from Android 2.3 to Ice Cream Sandwich is promised along with PlayStation certification. 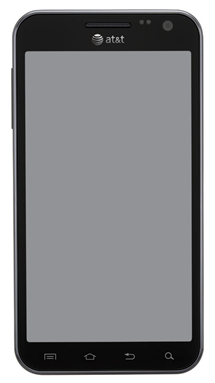 The sequel to the Skyrcocket features the 1.5Ghz dual core processor along with a 4.65" HD display and 4G LTE connectivity. It will feature the same compliment of Cameras and memory as the first Skyrocket and should see an update to Ice Cream Sandwich in the not too distant future. 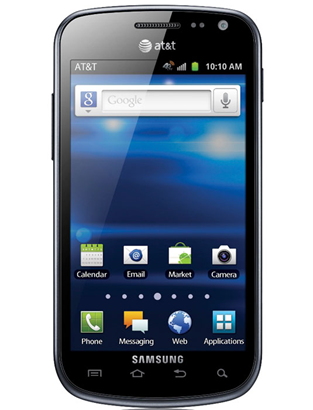 This Samsung Exhilarate is one of the more budget conscious 4G LTE devices and is very reminiscent of the Nexus S from a hardware standpoint. It will feature the same 4" Super AMOLED display and compliment of front and rear cameras. 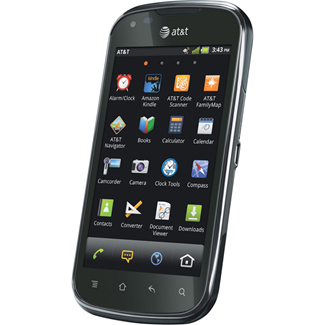 It currently runs Android 2.3 and features access to AT&T's U-Verse live TV. While the specs are less than extraordinary for anew 2012 device it should be available for $49.99 on contract with LTE connectivity. The next budget conscious 4G LTE device comes from Pantech it comes in at $49.99 and features a 4" Super AMOLED display. It will be available January 22nd in both red and black and feature a 1.2Ghz dual core processor. 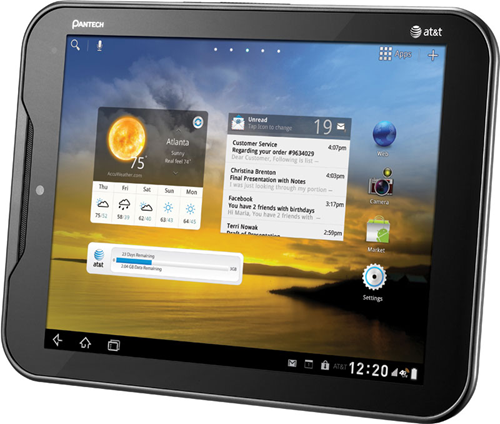 The Pantech Element is an 8" tablet that won't hurt the pocket-book as much as other tablets from AT&T. It features a 1.5Ghz single core processor, 16GB of on board storage along with a 5 megapixel rear camera, and 2 megapixel front facing camera. It will ship with Android 3.2 Honeycomb and be available in a combo deal with the Pantech Burst for only $250, which is a good deal for two 4G LTE devices on contract.